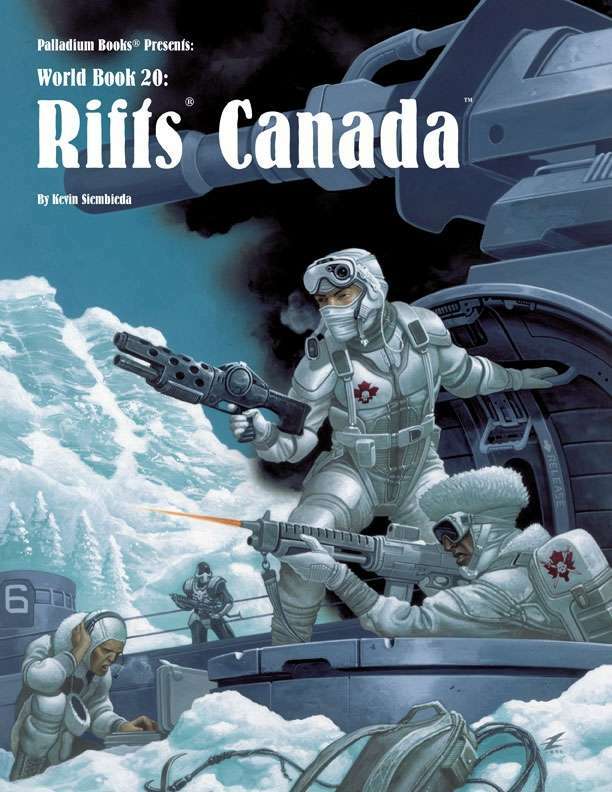 A comprehensive overview of Canada, including notable places, cities, towns, people, O.C.C.s, monsters and conflicts. While much of Canada has reverted to wilderness, there are pockets of civilization and technology, though not all of them human. 12 Monsters of the North, including the Sasquatch and Loup Garou. 7 demonic beings including Demon Bears, Windigo and more. 8 D-Bee R.C.C.s common to Canada, Cyber-Horsemen and more. Tundra Ranger O.C.C.s: Ranger, Scout, Cavalry, and more. Techno-Wizard Bionics and gear of the Tundra Rangers. City of Old Calgary, Fadetowns and more. Rules for storms, flash floods and other weather. Rules for hypothermia, exposure and arctic travel. 192 pages, by Kevin Siembieda.